This year has seen the appearance of many awesome new inventions which help make life easier, more comfortable — and in some cases — more enjoyable. We decided to pick out 18 of the most interesting. Hopefully, we’ll live to seem them all take on a major role in our lives! Every year, thousands of people get hurt or die in traffic accidents, in part because their visibility gets blocked by a lumbering vehicle. This is especially true in Argentina, known for its winding, narrow roads. There, however, Samsung and ad agency Leo Burnett have partnered on a creative solution: a system that relays video footage from the front of a truck to four screens on its back, giving drivers a clear view of what’s ahead. 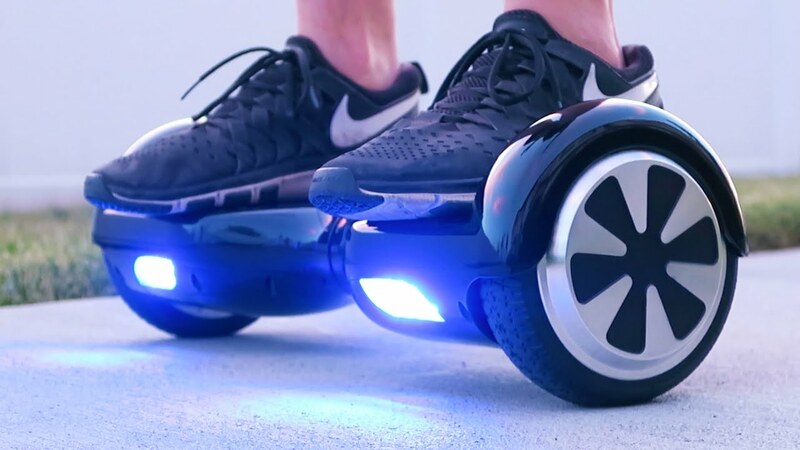 Part Segway, part skateboard, the self-balancing scooter — generally known as a hoverboard, even though it doesn’t actually hover — is easily the year’s most viral product. Once someone hops on, the device uses a pair of electric gyroscopes (one under each pad) to balance automatically, allowing users to speed forward, backward and around by slightly shifting their body weight. That enables all kinds of fun stunts, ranging from hallway races to motorized dance routines. Virtual-reality headsets, like the Oculus Rift, create escapes. Put one on, and you’re suddenly swimming with dolphins or fighting in the Battle of Waterloo. Microsoft’s HoloLens, by contrast, augments reality — overlaying holograms and data onto existing surroundings, so you’re not «confined to the virtual world,» as designer Alex Kipman puts it. Imagine gamers defending their homes from robot invaders, engineers manipulating 3-D models or surgeons following directions «on» the human body. Early tests indicate all are possible. Already the HoloLens is being used by NASA to mimic Mars’ terrain in labs and by medical students to dissect virtual bodies. How hot should the pan be? When do I stir? It it done yet? If you’ve ever cooked an unfamiliar dish, chances are you’ve asked yourself one or more of these questions —­ and ­Pantelligent aims to answer them all. Once you select a recipe from its smartphone app, the pan uses Bluetooth and a special heat sensor to offer real-time instructions on your screen, so you’ll know exactly when to flip a steak, for example, if you want it medium rare. An estimated 663 million people globally do not have access to clean drinking water, in part because filtration is complicated and expensive. The Drinkable Book is neither: thanks to a special ­treatment—­developed with a team of scientists over several years—its pages double as water filters, killing over 99% of harmful bacteria during trials in Bangladesh, Ghana and South Africa. When people think of pasta, they almost always think, I ate way too much and now I feel like crap,” says Brian Rudolph. Not so with his brand, which is made from chickpeas instead of wheat. That simple switch — in a recipe perfected over 10 months of trial and error — has yielded a healthy twist on the al dente dinner. Banza, shorthand for garbanzo pasta, has double the protein and four times the fibre of traditional pasta, and far fewer carbs; it’s also gluten-free. Now Rudolph and his brother Scott plan to reinvent products like pizza and cereal. There’s a glut of plastic trash in the middle of the Pacific Ocean that’s bigger than Texas—and growing. But the default removal process of chasing it with nets is both costly and time-­consuming. Instead, the Ocean Cleanup Project proposes a 62-mile-long (100 km) floating boom — at an estimated cost of $15 million — that would use natural currents to trap trash. (Its net drops roughly 10 ft., or 3 m, below the surface, shallow enough for fish to swim around.) If next year’s trials succeed, a full clean-up operation would aim to start in 2020; internal estimates suggest it could reduce the trash by 42% over 10 years. At a time when demand for computer scientists is sky-rocketing, most people get little or no exposure to coding during their formative years. Made by Many, a New York City-based digital-­consulting firm, is trying to change that. 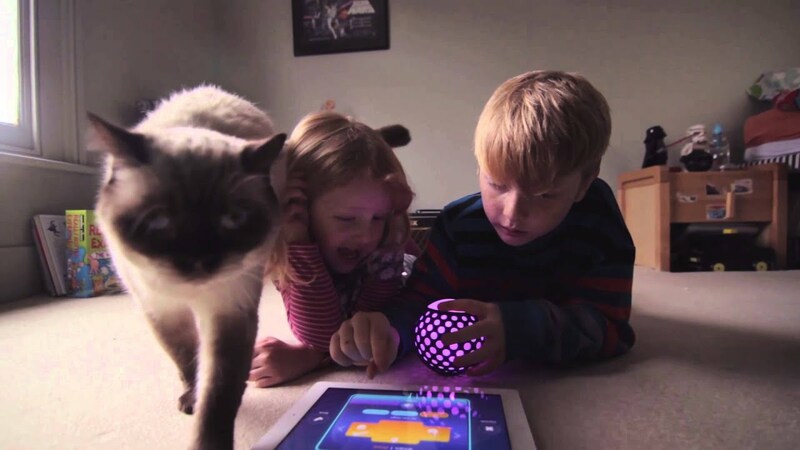 Its Hackaball toy syncs with a mobile app, allowing users to program how and when it lights up — and then to see how those programs affect their lives in the real world. Enabling social ­scenarios — rather than a more isolated, screen-based introduction to ­coding — is the whole point of Hackaball. In order to avoid potentially harmful pollutants and allergens, it helps to know about the air you’re breathing. That’s where Tzoa comes in. The stationary device uses sensors to evaluate the atmosphere in any given area, ­measuring factors like temperature, particulate matter (dust, pollen, mould, car exhaust) and UV ­exposure, and uploads that data to the cloud, so that institutions can conduct air-­quality research. This is a great invention for all those who either forget to lock their door when they go out or worry that they forgot to lock it. This app not only lets you know at any time whether your house is secure, but also records who enters and leaves and when they do so. Every time you begin to stoop or slouch, this chip will begin to vibrate. There’s no pain involved, and it’s seriously good for your health! Through two truly wireless, in-ear buds and a smartphone app, the ’Here’ active listening device allows you to instantly control real world audio so you can hear what you want to hear — no matter the situation — and be fully immersed in your audio environment. Here does not stream or play recorded music. Instead, the Digital Signal Processor (DSP) inside Here acts as a studio in your ears by providing you with a volume knob, equalizer and effects to transform real world audio. Use this «remote control for your ears» to have an optimal listening experience every time. ’Nora’ is the first smart and non-invasive snoring solution that’s designed specifically to stop snoring before it wakes your sleeping partner. With Nora, there is nothing to wear to bed—no masks, dentures, or nose strips. Instead, Nora silently and gently moves your head using a lightweight, padded insert that sits under the pillow. This slight movement stimulates the relaxed throat muscles. As a result, the airway assumes its natural position and you can breathe normally once again. A wearable band for your baby, a smart charger and a mobile app work together to not only monitor more effectively but learn and predict your baby’s sleep habits and optimal sleep conditions. Simply attach the ACPAD panel to your guitar, and you’ll be able to play hundreds of instruments, samples, effects and loops. These origami flower pots made by Ayaskan studios are transformed over time as your plant grows. Rather than repeating catchphrases, as «talking» toys have done for generations, this dinosaur taps IBM’s Watson technology to engage with kids aged five to nine in a meaningful way. In addition to answering plain-language queries (like «How far away is the moon?»), the wi-fi-enabled figurine talks back and learns from kids’ responses—helping them hone their math skills, for example, by asking increasingly harder questions. The trick is to make educational development seem like a cool, fun experience.